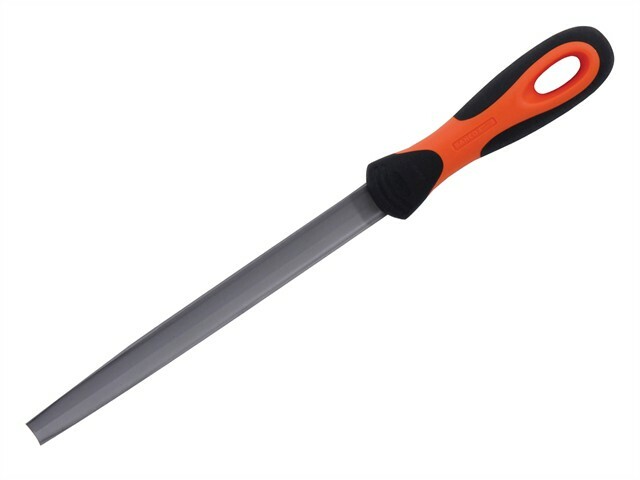 Bahco Handled Half Round Cut File with a ERGO™ handle is a tapered half round file with cross section which allows use on convex and concave surfaces, suitable for deburring work. The edges and surfaces are tapered towards the point. 8in file are semi-pointed. Double cut.